Interested in renting a portable storage unit in Henderson, NC? Call the professional team at AA Self Storage! We provide our clients with a level of personalized customer service unmatched by our competitors, putting each one in direct contact with the on-site manager at our Henderson self storage facility to guarantee fast, efficient service with every call. At AA Self Storage, we take the security of our clients’ goods seriously. That’s why each of our portable storage solutions features steel and aluminum weatherproof designs, solid DuraPlate truck body construction, translucent roofing for easy loading, secure door-locking systems, and other safety advantages to ensure your items are protected against theft, the elements and much more. 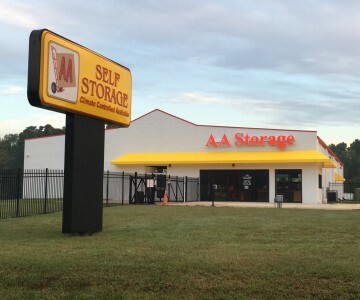 In addition, AA Self Storage’s Henderson portable storage unit rentals come in a variety of sizes to suit storage needs of all types. To learn more about our Henderson, NC self storage and portable storage solutions, please visit our facility located off Satterwhite Point Road or make an online reservation for a portable storage unit.